So you have a great YouTube channel with awesome content and you are looking to improve your ranking on YouTube or maybe you want to promote your content to more people? YouTube is the worlds’ second largest search engine, so don't miss out on all that traffic. 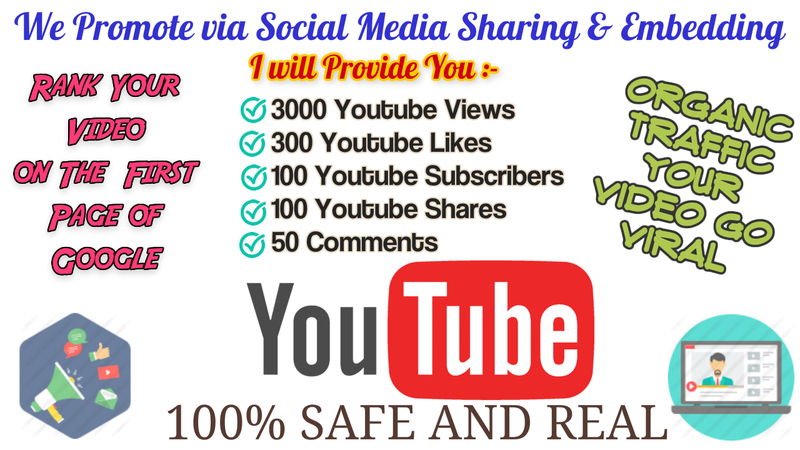 This is the fastest and safest way to rank your Youtube video or Channel #1 in Google/Youtube! Improve your YouTube presence by getting real organic traffic. Do MASSIVE Youtube Video Organic Promotion to very large Quality Groups to get you Real High-Quality Views. The people are sourced from a managed community [huge facebook groups and Twitter communities] of individuals who have registered to be informed of new music, products and services via social media channels. All visitors will be real people all over the world. As a result, you will get Youtube viewers, Likes, Subscribe organically. There is absolutely NO RISK of harming your account. We have never had an account banned by using our services. We don’t use any kind of software or bots. You can contact me before buying if you have any question in mind. 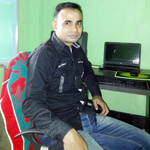 Please send me the URL of your YouTube video/channel.